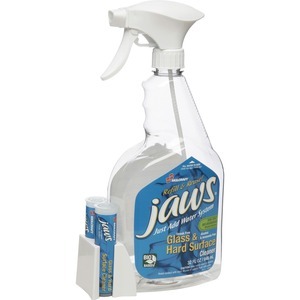 Release the power of JAWS to clean glass and other hard surfaces, then refill and reuse. This safe, economical, ecological, efficient system only requires water to deliver the power of cleaning right at your faucet. 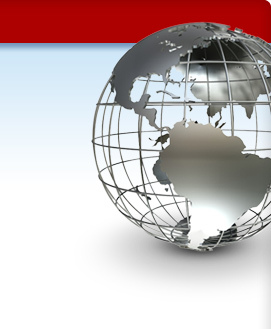 With the Just Add Water System, no special equipment is necessary. The portable JAWS cartridge automatically delivers the precise amount of concentrate. Fill your work bottle with water, insert the JAWS cartridge and attach the trigger sprayer. It's that simple, safe and economical. No unnecessary shipping of water and throwing away plastic bottles. With an ammonia-free, alcohol-free and no-streak formula, Glass and Hard Surface Cleaner cleans fingerprints, grease and smudges from appliances, computer monitors, Lexan and Lucite, mirrors, plexiglas, windows, granite countertops, LCD TV Screens and more. The Just Add Water Cleaning Kit comes with everything you need, including six reusable/refillable spray bottles and 12 cleaning cartridges.